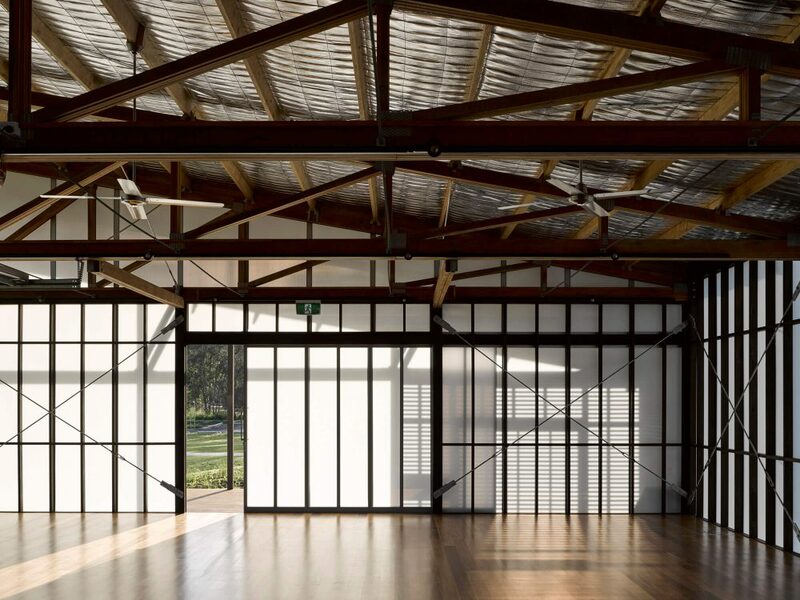 The design language of the Curra Community Hall is a contemporary interpretation of rural vernacular, referencing the timeless look and feel of the surrounding areas’ rural heritage and natural environment. 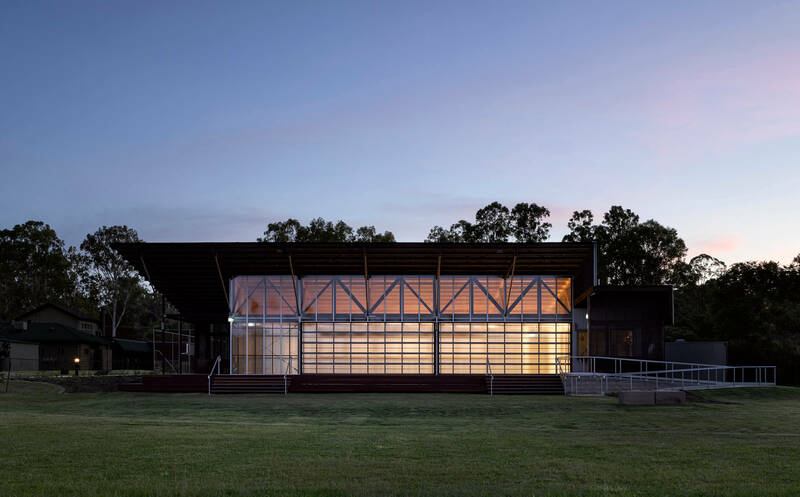 The timber framed building is clad with lightweight polycarbonate sheeting, which filters sunlight during the day, and by night, illuminating like a lantern. 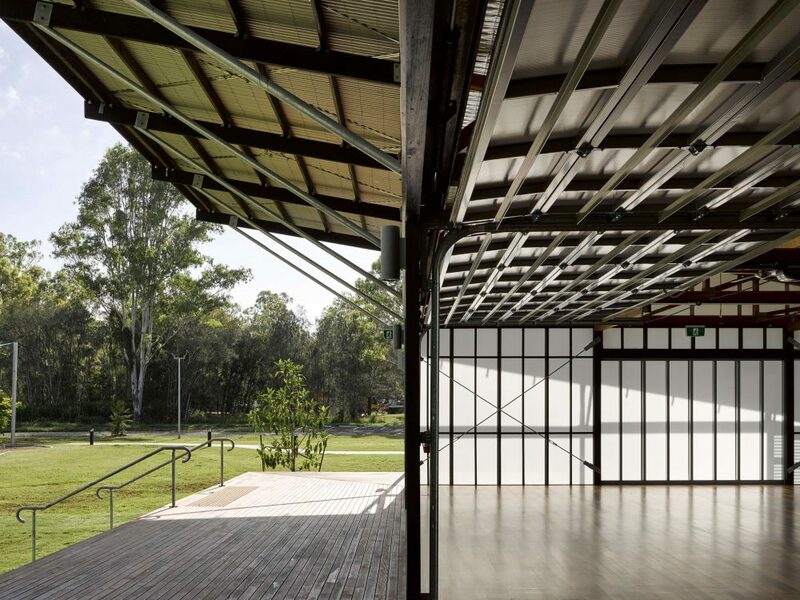 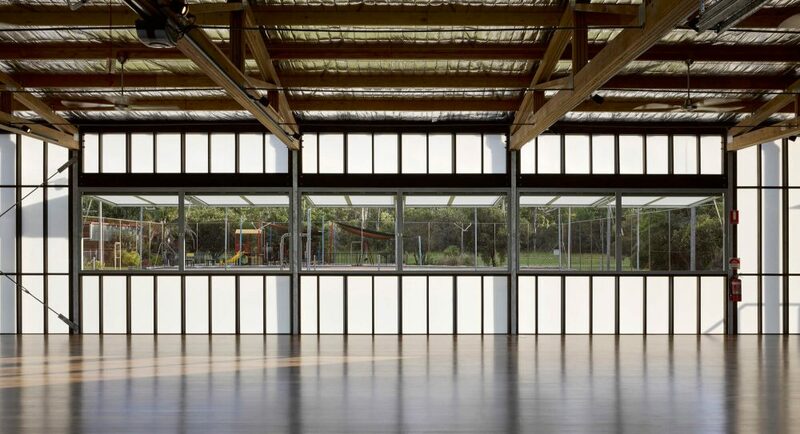 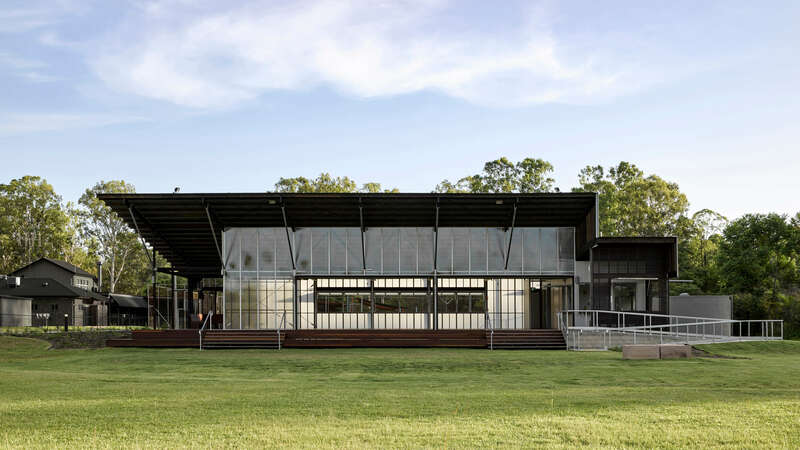 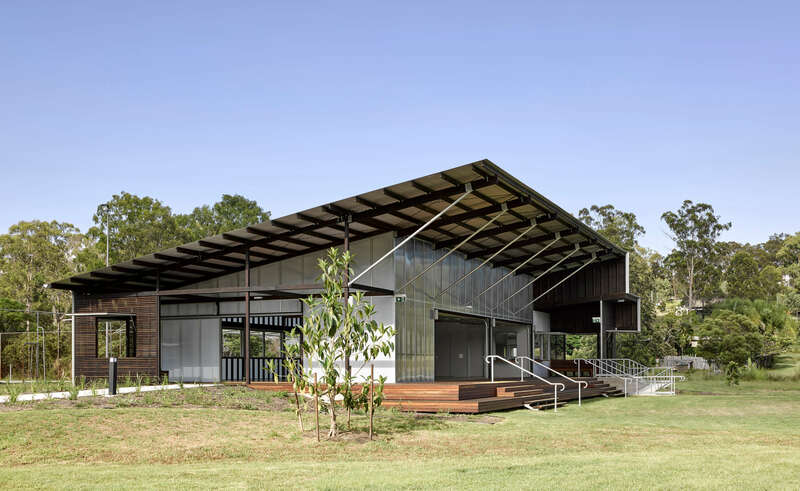 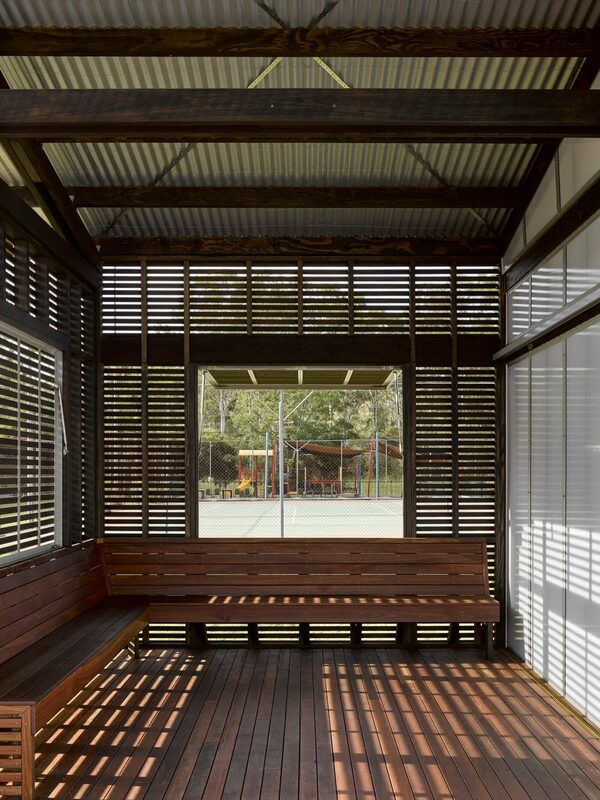 Flexible, economical and rudimentary were the design aspirations for the Curra Community Hall, conceived as a simple and honest construction with robust, natural and cost effective materials, appropriate to its place in regional Queensland. 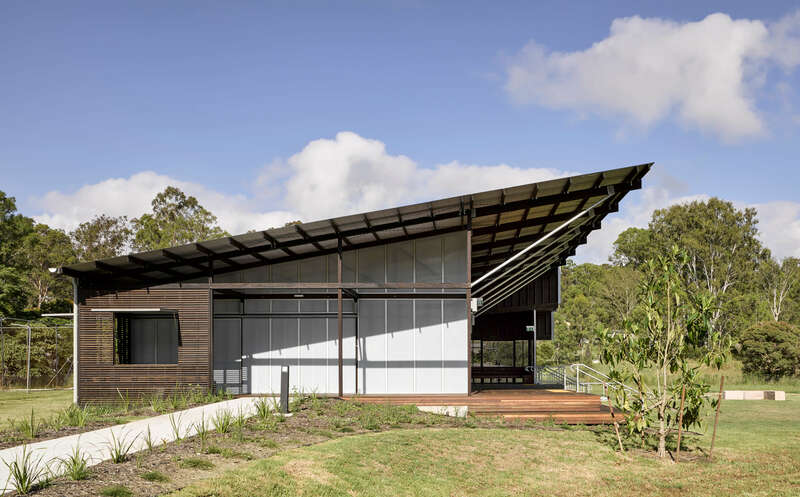 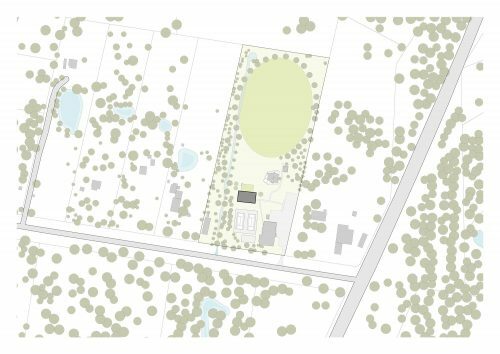 Stakeholder workshops run by the architects streamlined the design aspirations of the 14 user groups who contributed to shaping an equitable community place for the 1,920 or so people who reside in Curra, a rural settlement just north of Gympie. 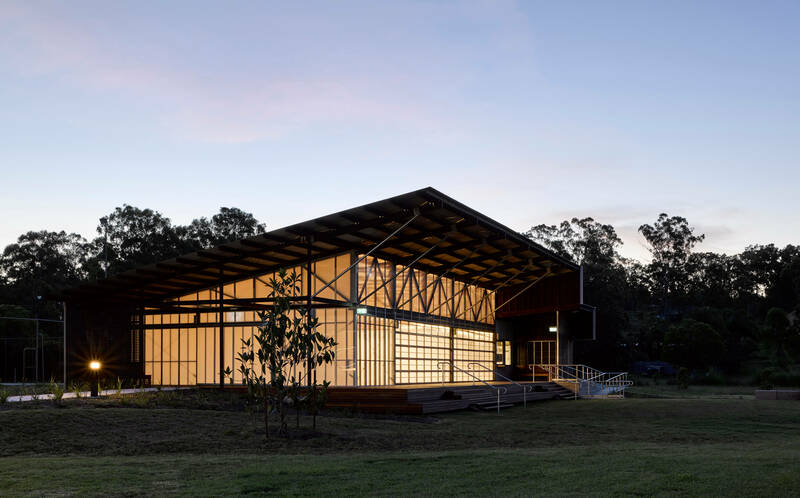 The legibility of the exposed timber frame structure celebrates the construction skills of the carpenters who made the building, as well as referencing the timber history of the region.